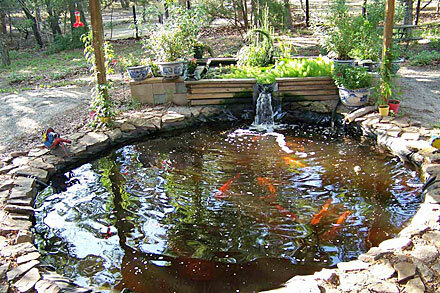 The aquaponic system started with fish water from the Koi pond. This is a 4' x 8' bed framed with 2x6 boards, a black 20 mil PVC liner and filled with crushed pink granite. There are kale, chard, chives, basil, tomatoes, watercress, parsley and celery in this one, and I expect to see how cuttings of sage will root in the medium. 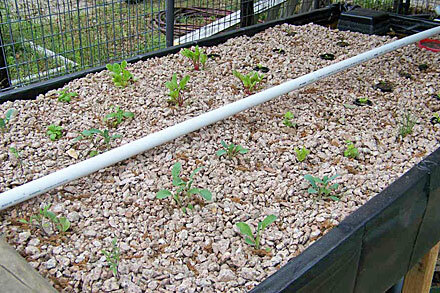 I also released a handful of red wiggler worms to scavenge the fish waste solids as they accumulate, and convert some of the liquids in the grow bed to "worm tea". There is a 300 gallon rubber/plastic Rubbermaid livestock tank at the end of the bed. 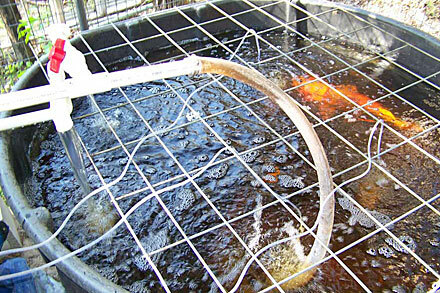 I only added fish to my aquaponics system on May 7th - 2 koi, 12 and 10 years old and in the vicinity of 10 lbs each. I was running a 660 GPH Laguna pump using 32 watts 22 hours a day, but after I added the fish, I added an 18 watt air pump with 4 diffusers, thinking the additional oxygen will be good for all the inhabitants. So, my whole energy input is 50 watts. 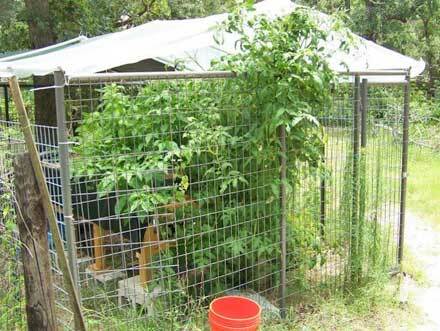 At such a low energy consumption, this system could be completely solar powered for a couple hundred dollars. 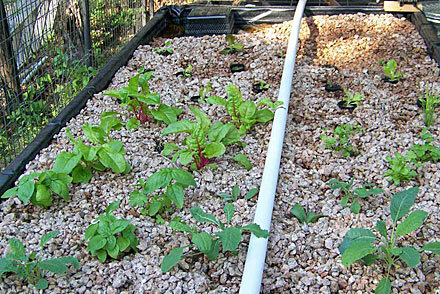 I am optimistic that this system will out perform even the hydroponic system in a few months as the growing medium is colonized more thoroughly with the worms and beneficial bacteria.